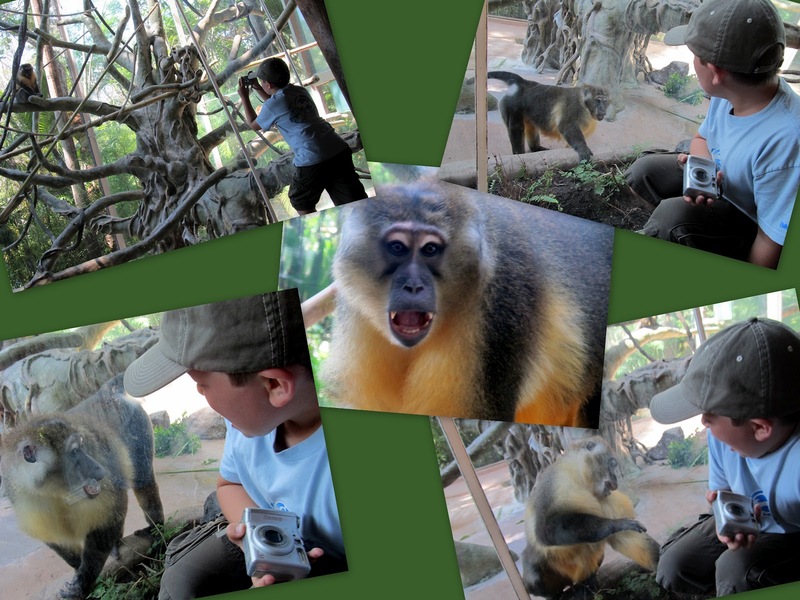 I gave Dylan my old camera to use at the zoo last week and I think he may have annoyed this Golden Bellied Mangabey. The monkey came leaping from the tree and jumped at the window numerous times. At first Dylan was scared, although he would never admit that, and then he began to show his teeth to the monkey. This went on for a few minutes and my only regret is that I didn't get it on video. I love the picture on the top left of the budding young photographer.